Well, it’s been a while since my last blog. Just over six months! They say that time flies when you’re having fun. 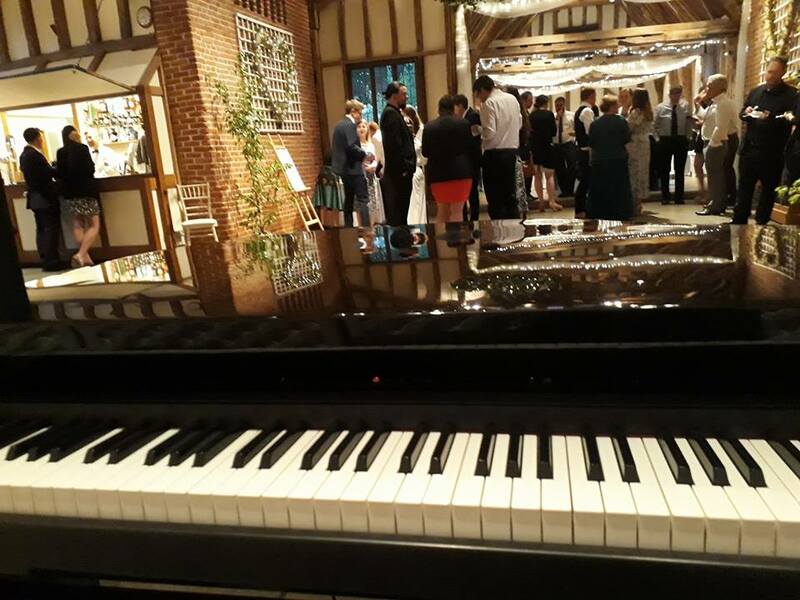 From July to December, I’ve been having fun playing for 45 weddings and events, from familiar venues at which I’m recommended (including Hengrave Hall and Smeetham Hall Barn in Suffolk and Bassmead Manor Barns in Cambridgeshire) to first-time visits to new places such as Hertfordshire’s Pendley Manor Hotel, Shuttleworth House in Bedfordshire and Wivenhoe House and Hedingham Castle in Essex. Not forgetting regular visits to two of Norfolk’s gems too – the jaw-dropping Kimberley Hall and Norwich’s own jewel, The Assembly House. Concentrating or having fun? Most likely a bit of both! I’ve added lots of songs to my repertoire in that time too, one of the most popular being Ed Sheeran’s ‘Perfect’. The additions list is a long one and you can see all on my Repertoire page. 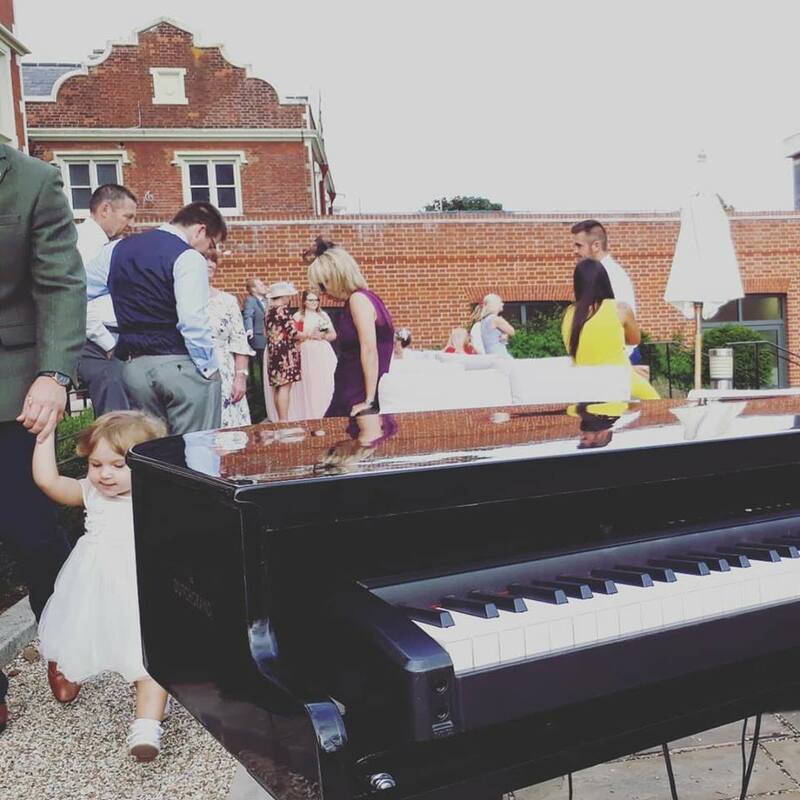 Lots of brides and grooms have chosen to book my Baby Grand Piano set up. I’ve had it for just over a year now and it’s proving to be very popular indeed! 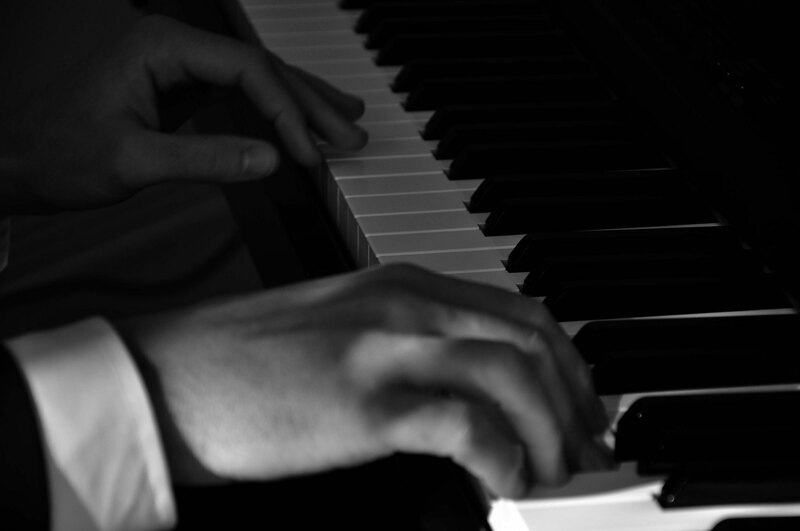 It comprises of a Roland digital piano, Bose amplification system and a black baby grand piano shell. 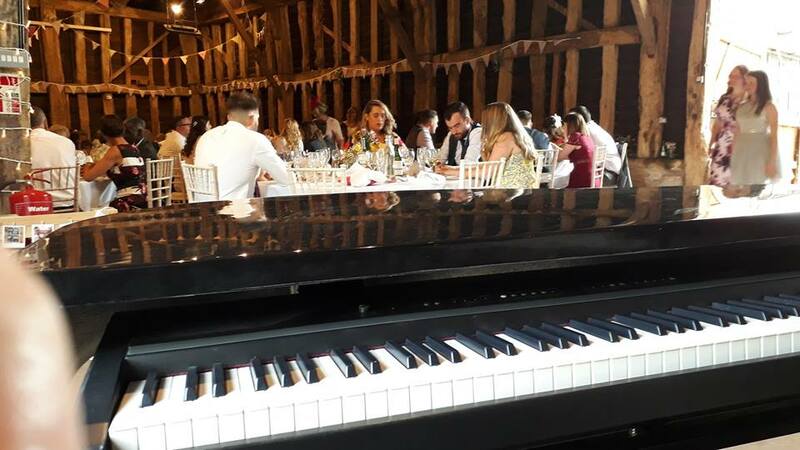 The set up superbly replicates both the sound and appearance of a baby grand piano and is a cut above the standard keyboard on an A-frame that some pianists provide. I’ve vowed to blog a lot more in 2019. 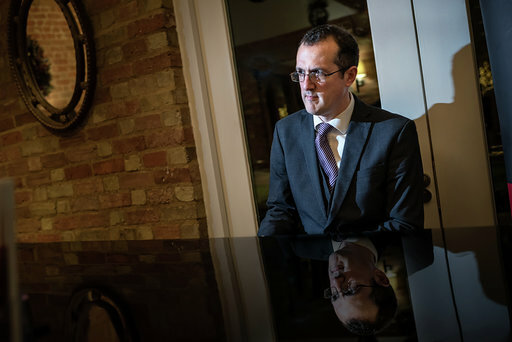 With all the weddings and events already booked in for this year, it’s looking like it will be my busiest ever. 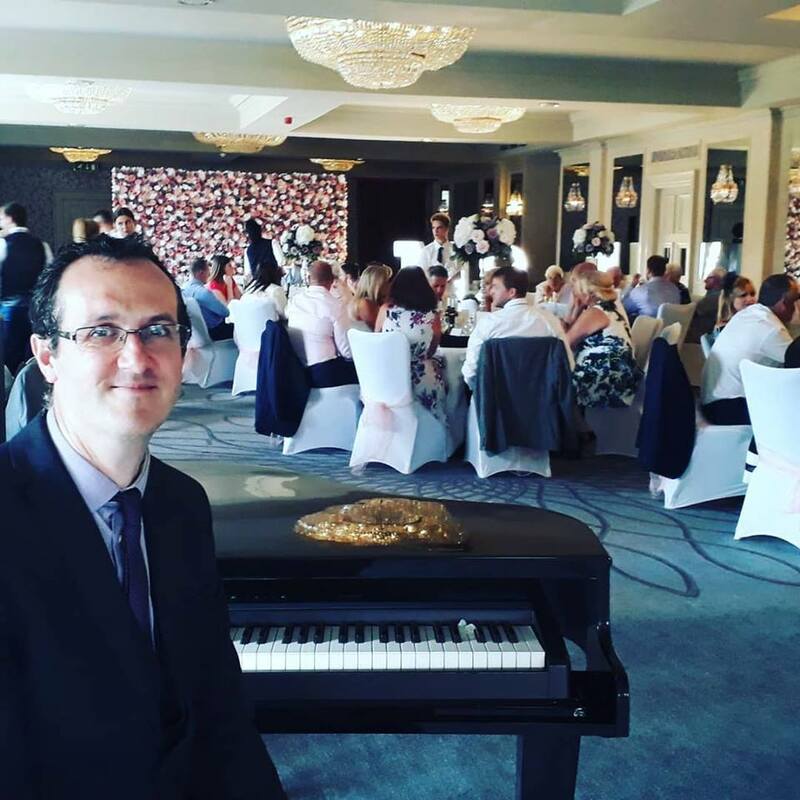 If you’re looking for a pianist to add a touch of class to your day, please get in touch. I would love to hear from you!